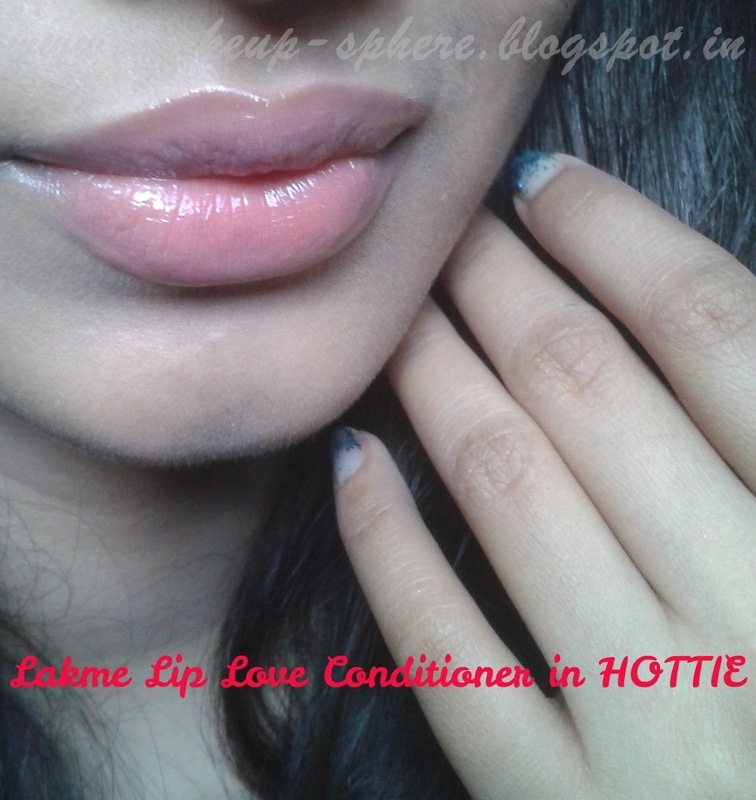 Lakme Lip Love Conditioner in Hottie, Flirt and Siren. 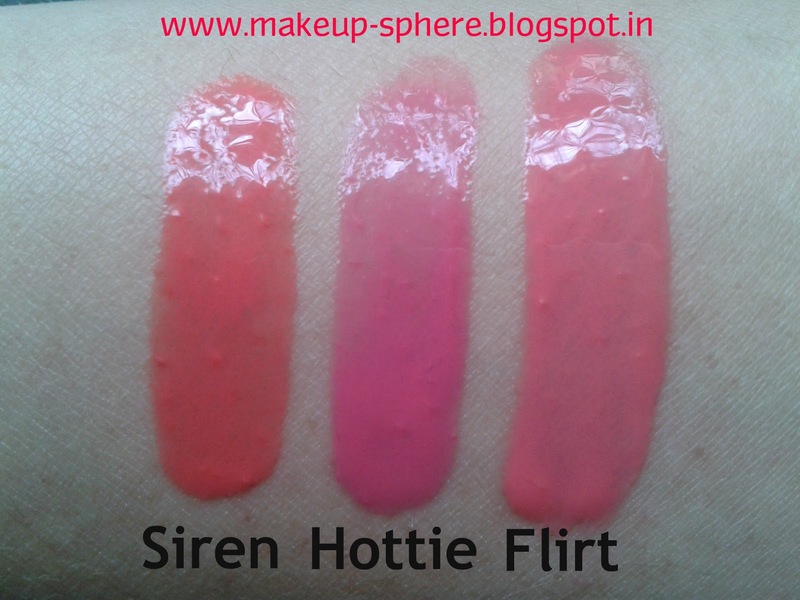 Review, Swatches and on-my-lips pictures. I solely bought this for the sake of Packaging. Heart shape, Red mirror-shiny cap and round, slip-in-your pocket tub. I am oh-so-valentine-y always. I love to see them whenever I pull out my Vanity Drawers, they just attract my sight. I sometimes carry them around in my bag, for touch ups and no I don’t carry brush along. I use my pinky finger. And also I love clicking them. 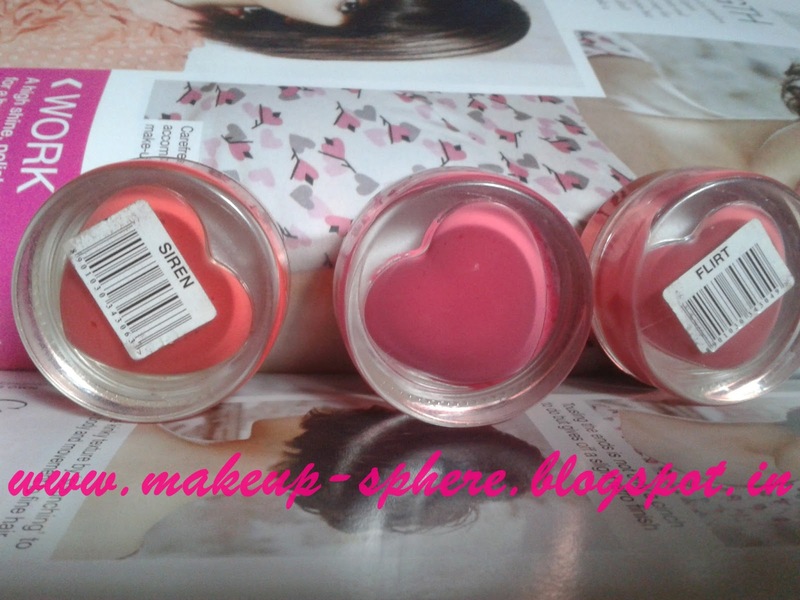 The Texture is gel like, glides on smoothly but the color does not looks even on lips. It tends to settle in lines . 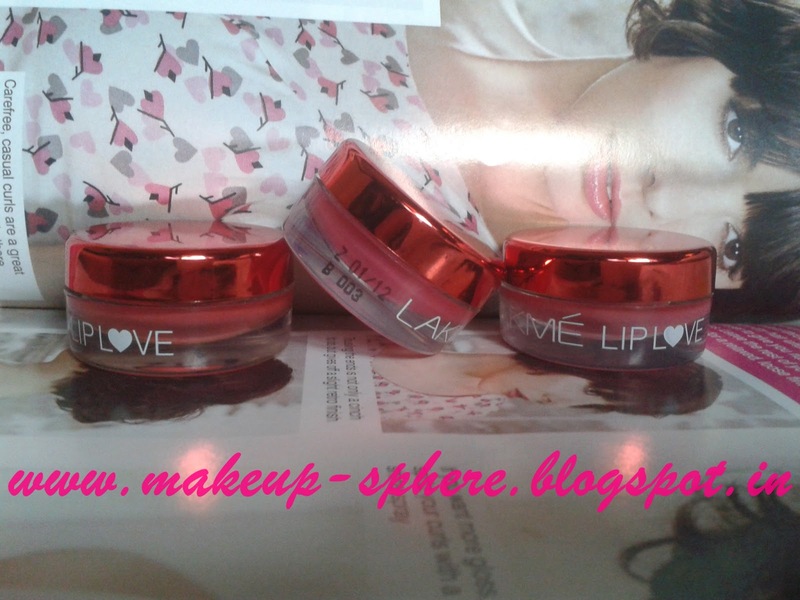 Chapstick ran over lips are must for these Conditioners. And if your Lips are chapped, you better stay away. It stays on for 2-3 hours if wore alone. There is nothing I love about these Love Conditioners except for the packaging and colors. Siren is a wonderful Coral. Romance induced Packaging. All Lovey-Dovey. 4 Colors/Shades to choose from. 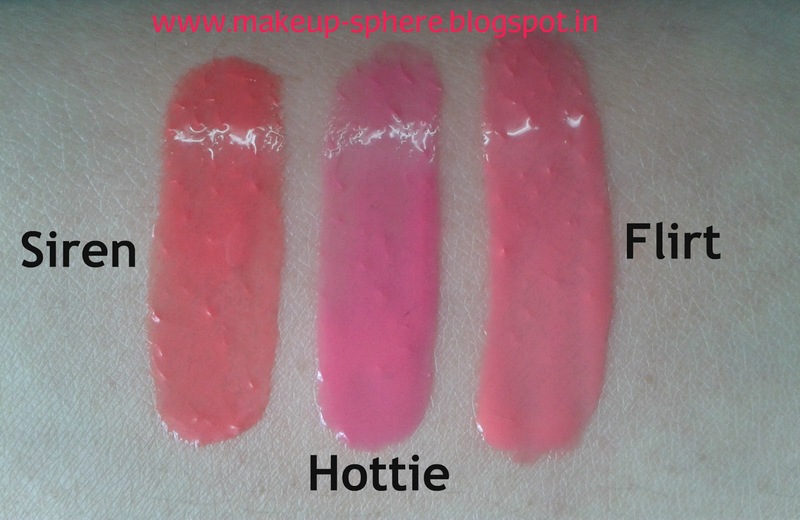 It can be used as lip gloss over same color or alone. You need a Brush for application. It does settles in lines. 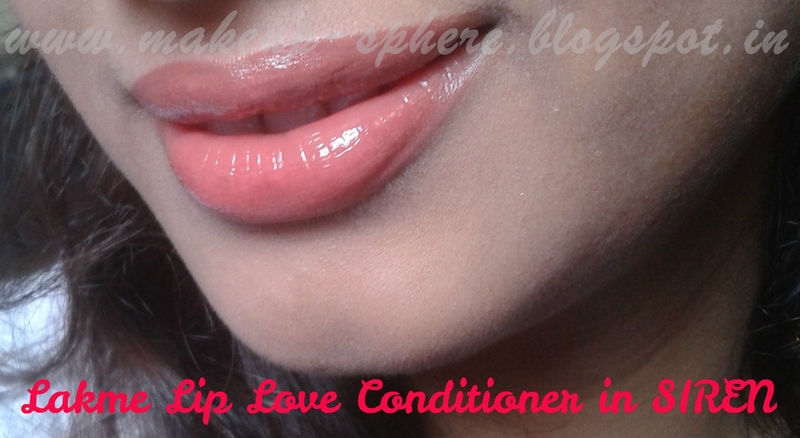 Uneven texture on lips. It just sits there, no absorption or tint is left. Definitely not Light weight, Makes me conscious of having something on my lips. 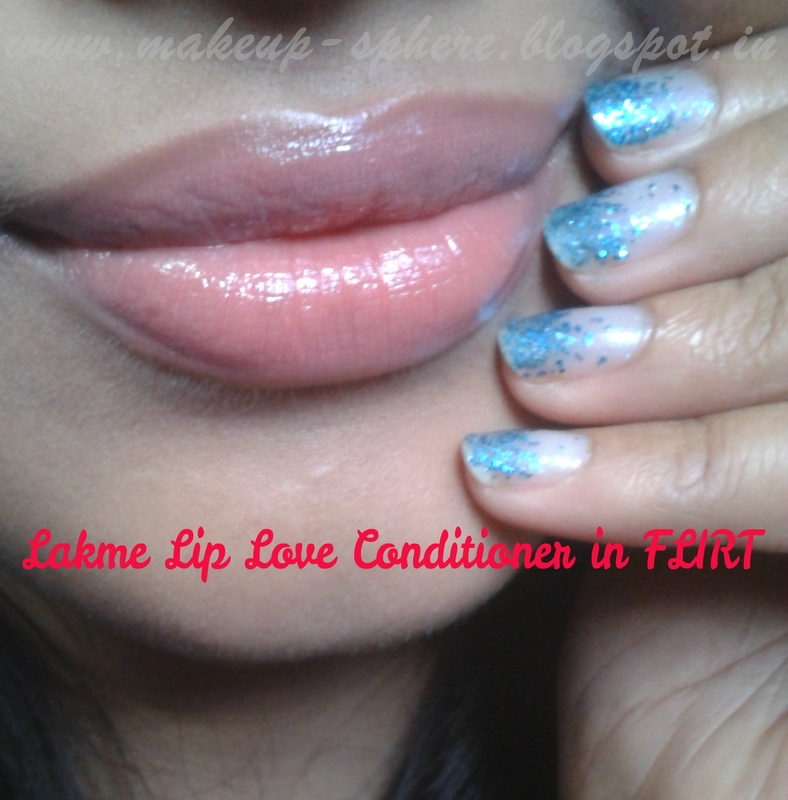 It won’t show up on heavily pigmented lips. Especially the color Hottie and Flirt. I ran out of thoughts here, happens every time, I look at them. And that never makes me regrets for wasting money on them. Well I just said it. My Verdict: If you are sucker for the packaging and would want one, to show off? Go for Flirt. 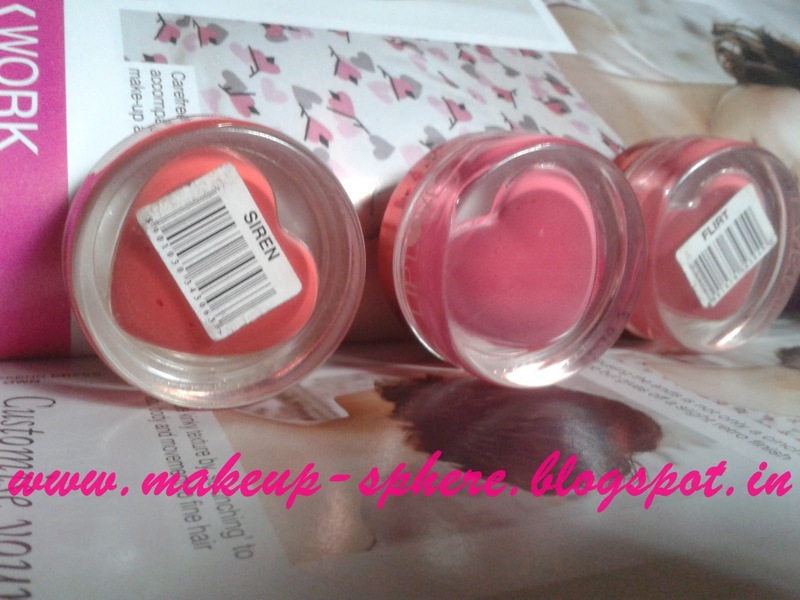 Its nice and pink and coral-ish and will suit fair to medium skin tones. Rating: 1.5/5. Too Bad it seems. *All Pictures are clicked in Natural Daylight. Really like the packaging though!! !